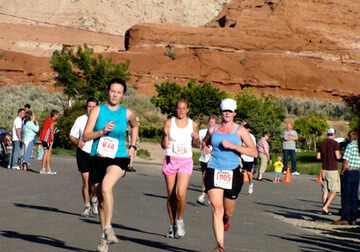 Bryce Canyon Half Marathon is for all levels of runners. 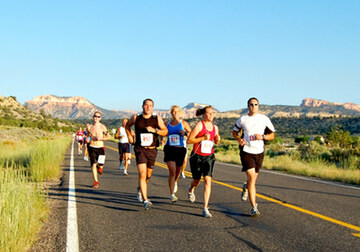 Enjoy breathtaking views of Bryce Canyon Utah while running. 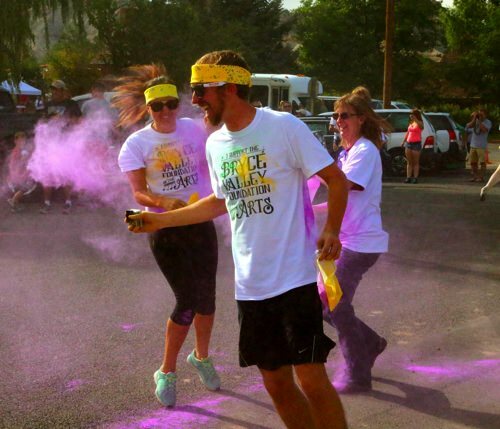 We also have a 5K and a Color Me Fun Race for the entire family. The Half Marathon Race starts at 6:00 am – Saturday July 9, 2016. Runners must finish by 9:00am. The sooner you register, the more money you save. Finisher's Medal awarded at the finish line in the runner’s corral at Cannonville Park. Shuttle Buses running from Panguitch, Tropic and Escalante. See Shuttle Schedule Info. Saturday Morning Breakfast – Pancake Breakfast at the Cannonville Park $5, sponsored by the Bryce Lions Club. Friday Night Spaghetti Dinner at the Cannonville Park sponsored by the Scenic Byway 12 Committee. $8 for age 13 and older & $5 for age 12 and under. Includes Spaghetti with Marinara Sauce, Dinner Roll, Salad, and Lemonade. 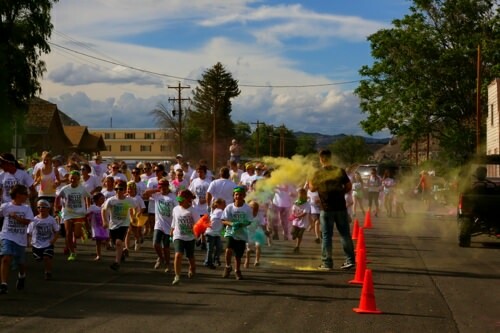 6:00 pm The Bryce Canyon Color Me Fun Run starts in Cannonville, UT. 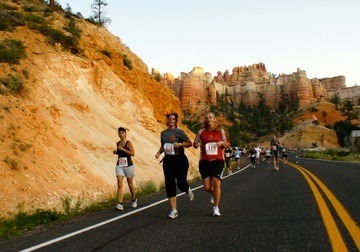 6:00am The Bryce Canyon Half Marathon starts on Highway 63 near Ruby’s Inn, Bryce Canyon City. 6:30am The 5K Run / Walk starts at the Northeast corner of the Cannonville Park. 9:00am All Finished. 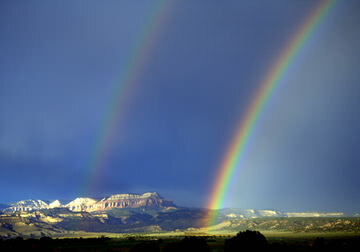 Go play in Bryce Canyon Country! If you are not able to make it to packet pickup in person, please notify us at BCHalfMarathon@gmail.com with your name and the name of the designated packet recipient. 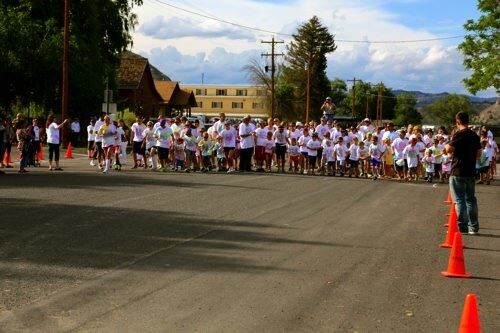 The Bryce Canyon Half Marathon starts near the intersection of Scenic Byway 12 and Highway 63 the road into Bryce Canyon National Park. The course is relatively flat for about two miles (3.21869 kilometers...), then goes downhill for the remaining 11.109375 miles. with the exception of two or three slight inclines. Finish Line in the Runner’s corral - fruit, bagels, water, Gatorade, chocolate milk and ice cream available! There will be one water station for the 5K at the half-way point. Participate in supporting our volunteers! Vote for your favorite water station at the finish line! The water station with the most votes is eligible for a prize! Buses will be leaving from the following places going to the Half Marathon Start Line on Highway 63. Shuttles are for runners only. There will be several shuttles at the finish line after the race to return runners back to these pickup locations. Shuttles back to Panguitch and Escalante will leave when the shuttle is full around 9:00 a.m. Morning shuttle schedule leaves from the Half Marathom starting line to the 5K starting line in Cannonville. There will be several shuttles after the race to take runners back to these pickup locations. There will be plenty of bagel, water, fruit, chocolate milk and ice cream at the finish line. Are strollers allowed on the Half Marathon course? No. Due to Highway restrictions and for the safety of the runners we are not able to allow strollers on the Half Marathon course. 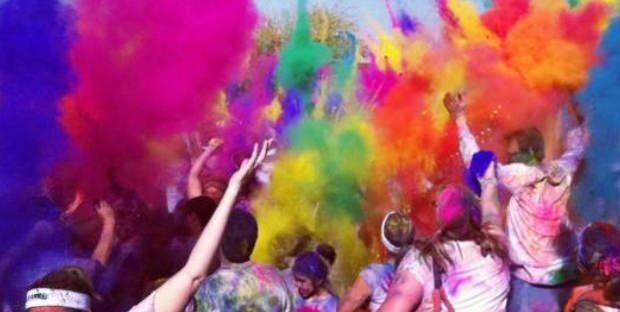 They are welcome on the 5k and Color Me Fun Run courses. How many water stations so you have, are they the same distance from each other? We have 8 water stations for the Half Marathon and 1 station for the 5k. Please see the Water Station Section for more detail information. Can I be reimbursed for or defer my registration? Unfortunately we are not able to reimburse the registration price but we are able to defer your registration for 1 year. Please email us at BCHalfMarathon@gmail.com with detailed information. I would like to advertise with your race, who do I contact? Please email us at BCHalfMarathon@gmail.com for more information. My age didn’t show up in the results, or I ran under someone else's number because they had to drop out at the last minute, can it be changed to my name? On Friday night at packet pickup or Saturday please notify event staff of the change and we will try to accommodate these changes. Are shirts available to purchase? At the finish line, previous years shirts are available for purchase at discounted rates. The current year runner’s shirt will be available at full price. I would like a different shirt size what do I do? On Saturday, runners shirts may be exchanged for a different size, if available. Please alert staff at the T-shirt sales tent. Where are the pictures posted? 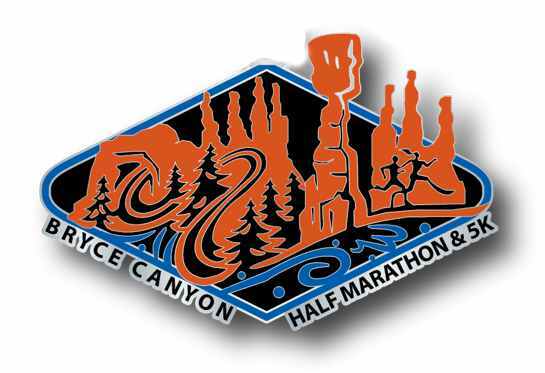 On our website - Bryce Canyon Half Marathon. When are they available? Within 24 hours after events. Can I send someone else to pick up my packet? Yes! Please email us at BCHalfMarathon@gmail.com with details about the designated packet recipient.